Now under this section we share the various eligibility criteria related to the education and age for various job profiles which we discussed above under above section. 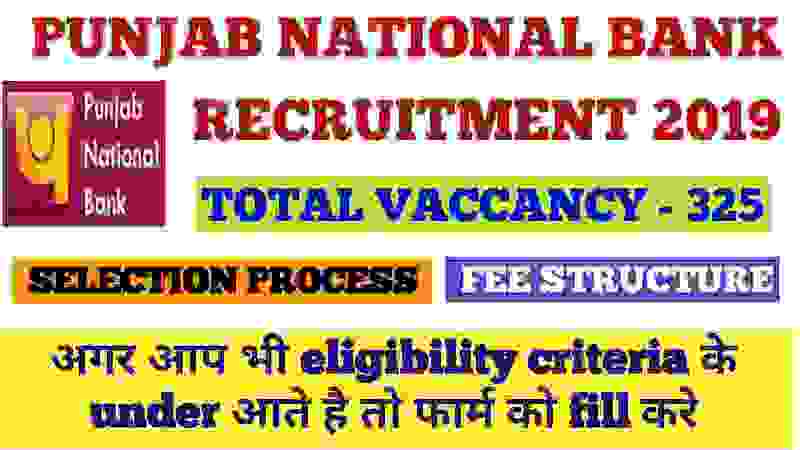 Check the table for more information related to the eligibility criteria related to this PNB Recruitment 2019. Those who have done the following qualification “CA/ICWA/MBA or PGDM(with specialization in Finance)” (or) equivalent post-graduation degree/diploma from any AICTE approved institute can apply. Management/ Industrial Relations/HR/ HRD/ HRM/ Labour Law can apply for this job profile. Those who completed MCA/ B.E./B.Tech Degree in Electronics and Communication/ Computer Science/ Computer Science & Engineering/ Computer Science & Technology/ Information Technology can apply. Paying Method: Eligible applicants have to pay the above application fee through one of the following method: “Debit Cards, Credit Cards, Internet Banking, IMPS, Cash Cards/ Mobile Wallets”. 14TH Feb. 2019 is the Start Date to Apply. 2nd March 2019 is the Last Date to apply.